JAMES LABRIE – New album release announced Cover artwork unveiled! 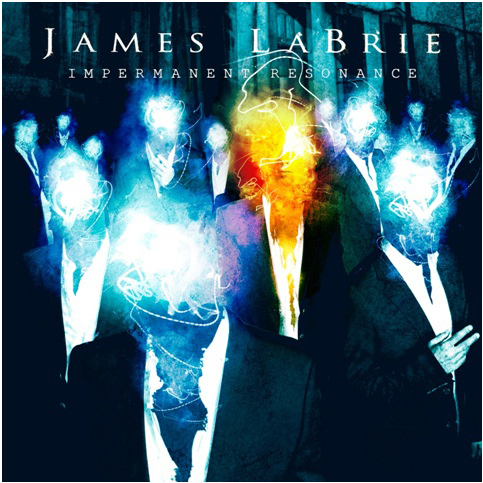 June 4, 2013 (Los Angeles, CA) – After his much acclaimed “Static Impulse” release in 2010, Dream Theater frontman James LaBrie returns with a powerful new studio album entitled “Impermanent Resonance,”to be released August 6 in North America and July 29 in Europe via InsideOutMusic. “Impermanent Resonance” was once again conceived with LaBrie’s songwriting partner for over a dozen years, Matt Guillory. Guillory not only took the leading role in composing the material, he also handled all of the keyboards and background vocals. The album’s lineup is intact from the previous recording, featuring Marco Sfogli from Italy on guitar, Ray Riendeau (Halford, Machines of Loving Grace) on bass and Swedish drummer Peter Wildoer (Darkane, Majestic, Arch Enemy, etc. ), who was a finalist in the Dream Theater drum auditions. Additionally, former Soilwork guitarist Peter Wichers came into the foldto contribute songwriting and studio guitars. “Impermanent Resonance” was once again mixed and mastered at Sweden’s Fascination Street recording studios (Kreator, Opeth, Paradise Lost, Symphony X) with Jens Bogren and this time also Tony Lindgren. Visually, Canadian LaBrie hooked up with Gustavo Sazes / abstrata.net (Arch Enemy, Firewind, Kamelot, etc.) to capture and translate the album’s atmosphere into the striking artwork.